​"I know the Lord is always with me. 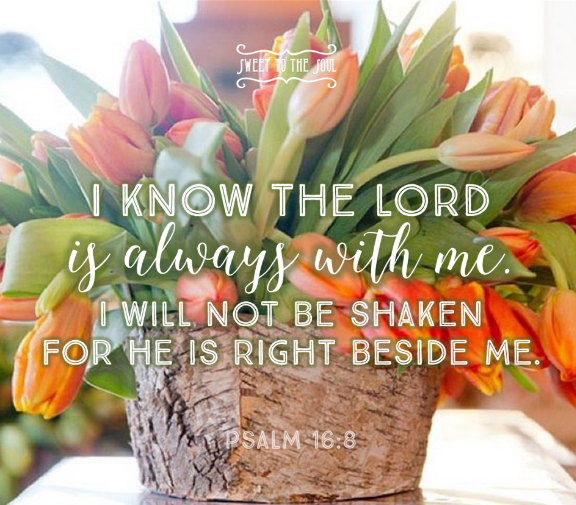 I will not be shaken because He is right beside me." There is no greater confidence than God confidence. But what about when we're challenged to do something that we don't have experience with, something that we haven't successfully completed time and time again. Maybe even something that we've failed at previously. If we are only running on me confidence then it's easy for us to doubt, to pause and back up, or turn away and avoid the situation all together. Me confidence only allows me to depend on my own ability. Which all too often is not much. The enemy loves it when we only depend on ourselves. It opens the door for them to whisper in our ear, you're not enough, you can't do that, she can do it better, what are you thinking, you're not capable of that, you won't reach as many people as she will... and so on. The list is endless. And, for me, I must admit that in many cases, these whispers are not really lies, sometimes they are truth. I - alone - am not enough. But that's ok, because I am not alone. I am not alone - God is with me. "The Lord your God is with you, the Mighty Warrior who saves. I - alone - can't accomplish that task with my own strength. But that's ok because I am not using just my strength. ​I am weak - God is strong. "For it is [not your strength, but it is] God who is effectively at work in you, both to will and to work [that is, strengthening, energizing, and creating in you the longing and the ability to fulfill your purpose] for His good pleasure." "You're right. I am not enough. But that's ok, because I AM NOT ALONE!" ​"I know the Lord is ALWAYS with me! And I WILL NOT be shaken! For He is always RIGHT BESIDE ME!"